At a conference I attended a few months ago, a Chinese professor described rural villagers as “sacrificing their youth, for the sake of the cities”. It struck a chord with me as I pictured the rural villages I had grown familiar with during my bike rides down dirt roads in Guangxi. Every village was full of children and grandparents, but was missing nearly everyone from 20-60 years old. It’s as if this entire group left to work in the cities, giving their best years to a develop a region where they cannot reap the full rewards of their work. While the left behind children are a pressing topic of discussion, the other family members are no less effected by the social hole left by migrant workers. Even though it is very common for wives to leave the countryside with their husbands to find work in the cities, there are hundreds of thousands left behind. While this group is rarely mentioned in discussions, because it is the smallest segment, this group is one of the most vulnerable. Rapists have been known to target the wives of migrant workers, as they are often socially isolated, and there is little chance that the crime will be reported. These women are expected not only to tend to the farm work, but also have to raise their child, and help their husband’s parents in old age. In every relationship, they are expected to sacrifice for the good of the family. They also face the uncertainty that comes with being married to a person who now essentially lives in another world. Migrant male workers in China are more likely to be alcoholics and visit prostitutes than those who live with their wives. This is so common globally that Muhammad Yunus built his Nobel prize winning micro-credit system around making small loans to women instead of men. This means though that women in China see fewer of the fruits of their husband’s labor. 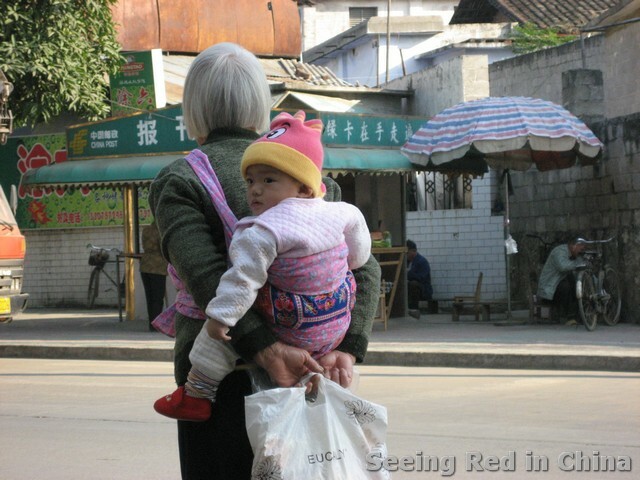 Elderly Chinese are often left behind to look after their grandchildren, when in many cases they need help themselves. China’s rural areas have incredibly limited resources, such that services for the elderly are restricted to only those who have no living children. According to the elderly care facilities I visited in Henan, if the children are alive, but provide no support for their parents, the parents are supposed to sue them. This would be an incredible loss of face for the elderly parent, and rarely happens. Rural hukou holders are also not included in pension systems that urban residents enjoy, and so they are required to work for their entire lives. This lack of stability in the later years of life is part of what is driving so many from the countryside. Elderly farmers have endured decades of hardship to support China’s economic growth, like the great famine and the cultural revolution, yet have received the fewest benefits of its rise. 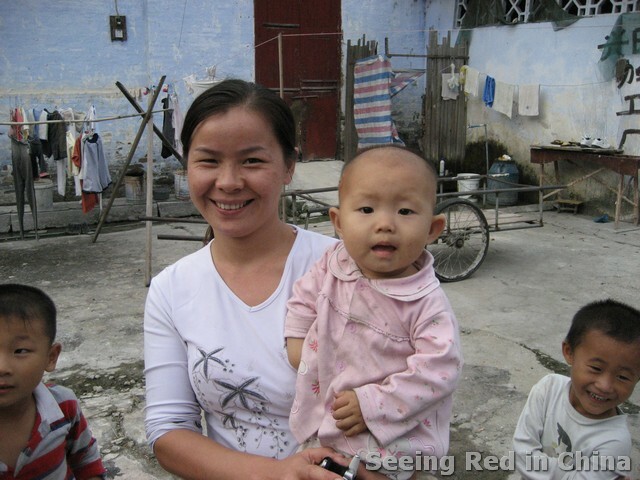 Until the hukou system is abolished (or drastically revised) rural dwellers will continue to be denied their basic rights. These people have been asked to sacrifice for the nation time and again, while being legally reduced to second-class citizens. When Mao called for a peasant led revolution, they heeded his call, they haven’t forgotten this, but perhaps the party has. By T in Uncategorized on September 5, 2011 . In my housewifely plain view and language, the Party used the peasants to win its revolution and, almost since day one, it has never meant to treat the peasant population as anything more than its laborers. To say the Party has looted the countryside and its population for 60 years is NOT an exaggeration, and, at some points, literally. The quality of life in the countryside was appalling to begin with when the Party took over the country, and it took a dip in 1950s due to a policy called “a In my housewifely plain view and language, the Party used the peasants to win its revolution and, almost since day one, it has never meant to treat the peasant population as anything more than its laborers. To say the Party has looted the countryside and its population for 60 years is NOT an exaggeration, and, at some points, literally. The quality of life in the countryside was appalling to begin with when the Party took over the country, and it took a dip in 1950s due to a policy called “a single buyer and a single seller (“统购统销”) with which the state bought and sold grains exclusively and of course set the prices too, with which the peasants were forced to sell cheaply to the state and bought expensively. By the time they were all forced into the cooperatives, they didn’t even have the freedom to decide what to grow and how to grow. During the Great Leap Forward, party cadres literally ransacked peasants’ houses for whatever food there was left. The millions and millions of death during the ensuing famine occurred almost exclusively in the countryside. During my entire education in China (I was college educated in China for crying out loud), I had never in any of my class heard any of these. Take a walk in China’s countryside though, you will quickly realize how little the government has invested over the decades: it’s merely the place they come every year to take the food away. It is not uncommon that a peasant family would work year in and year out, and would end up owing money to the state! A while ago, I left a comment in a Sina (新浪）blog saying that, with hukou and the long-running exploitive rural policy, “peasants have essentially been held hostages for 60 years.” Not surprisingly, my comment disappeared within minutes. Here on Tom’s site, we discussed quite a bit about deplorable state of rural education, and sometimes you can’t help but wondering whether the party has ever meant to educate that part of the Chinese population well: It is to the Party’s interest not to, because what can be more threatening to than an enlightened peasant class? Yaxue: Read Frank Dikotter’s latest book “Mao’s Great Famine – The History of China’s Most Devastating Catastrophe, 1958-62”. It is based on new research and tells the story from the dictator and his henchmen, down to the villages of rural China – of the man-made famine that killed 45 million people. I will, 美丽, thanks. Documentation about that era abounds these days, and I have been reading some in Chinese. They live far from the seats of power in the big cities and so they have less of a voice. It’s a major problem that the leadership thinks will go away by ignoring it. Tom, thank you .so thank…..